The various rooms in a home may have different types of flooring. At the very least the bathroom will have a something different like tiles. Quite often the kitchen is different too. The space where one type of flooring meet another type of flooring will require a joint. This joint will be covered with a piece of edging material. If there is a door on the room then the edging material will be beneath the door, or perhaps beneath the fly screen door. The edging strip may be made from timber or plastic, but metal is more common. The shape of the strip may accommodate a difference in flooring heights, because tiled floors tend to be a little higher than bare wood. The size of the strip may accommodate a larger gap between the two floor surfaces. An edging strip will not protect against moisture or water spills. The floor joints beneath the strip should be sealed with silicone. The edge strip is there to look neat and prevent the edges of the carpet, tile or timber floor from being damaged. A neat edging strip beneath the fly screen doors is part of the home design. Consider this when choosing a door and flooring materials. Some rooms of the house can be open to the outside, other require privacy at least some of the time. Bedrooms need privacy for personal needs, and they need to block the outside light when people are sleeping. Home theatres and television rooms may also need to block outside light. Blinds are ideal for privacy and blocking light. A window blind is such a simple concept. But it is also effective, and can designed to stylishly suit the room décor. A blind block outside light and allows privacy when closed. It allows light in when open, and often blinds can be set part open to provide reduced light in sunny conditions. Individuals who want privacy while still allowing light in may consider adding window frosting or light (translucent) curtains behind the blinds. Does the room face onto the street, or another home? You will need privacy. Will the Sun shine in the windows in the morning, or afternoon? Can you use this to your advantage? Do you want to let the breeze through the window? Shift workers benefit from blinds that block the light during the day. Light blocking blinds are useful if the home uses a projector. Does the house have outside shutters? These will also block light. Blinds will help keep the home cooler in summer and warmer in winter, though thermal insulation and infrared film is more effective. UV protection on windows, using UV film, is another possibility. If you have accurate measurements for your windows it is not too difficult to order blinds online. There are a wide range of decorate styles and blinds that function in various ways. Browse the range before finding the best option. Australia has had some of its hottest weather ever in the last few weeks. There are a few ways that homeowners deal with this. One is to lock themselves away behind shut doors and windows and run the air conditioning all day. Another is to take advantage of any breeze by leaving windows open. Unfortunately leaving windows completely open allows insects inside the home. And if there is anything worse than being too hot it is suffering insect bites when it is too hot. Screens should be on every window. They are the simple and effective means of keeping virtually any insect outside, all while letting the light and breeze though the home. The question is which type of fly screen mesh to buy? Retractable fly screens certainly have advantages over a solid fly screen frame. The retractable or detachable models can be stored away in cold weather, or simply retracted into their overhead cartriage. There are several options here. Pleated fly screens, rather like a blind when they fold up. Magnetic fly screen frame attaches to any steel window. The same magnetic frame can be used on different windows at different times, depending which way the breeze blows. Retractable fly screens simply roll up on top of the window. Else, security screens are permanently fixed to the window. These prevent intruders coming in, and prevent children of the elderly from falling out. 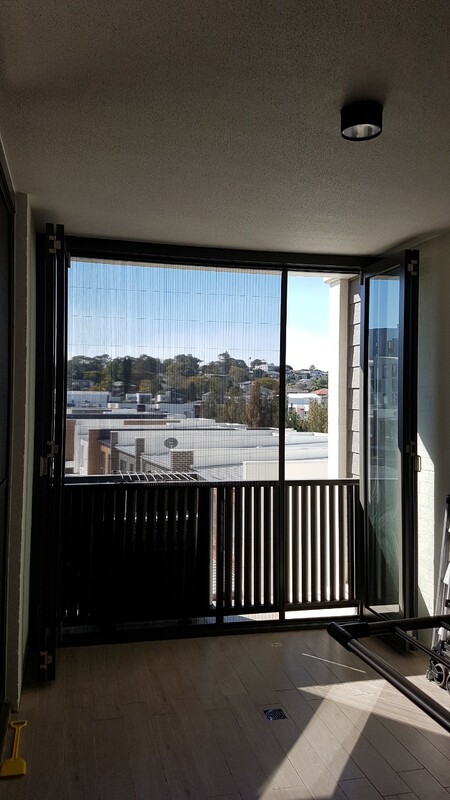 Security fly screen doors provide protection for the house, while also allowing light in and air to circulate. Its summer again. And people who don’t already have flyscreens often consider installing them around this time. There are many options, including retractable fly screens, fixed screens, pleated screens and removable screens. Not really. Most screens hardly block any light. You will hardly notice any lighting effect from the flyscreens. An exception to this is solar mesh, which is designed to block UV light. This prevents sunburn and prevents curtains and internal paint from fading. Adding UV proof film to windows is a good option for preventing problems with the sun. These will not interfere with the Screens. Will screens keep out every insect? A standard screen will keep out medium and larger insect. If you have trouble with very tiny insects, like fruit flies, midges or small ants, then you might consider smaller mesh. Fly screen mesh will keep insects from entering through windows and doors. But insects, especially crawling insects, might get into the house via other passages. Are their issues with pets? Occasionally some pets, especially younger kittens or dogs, will claw at the screens on doors. This will damage old style mesh. New steel or aluminium mesh will be far better at resisting these pet issues. Stronger metal meshes and powder coated frames area easy to clean. Vacuuming is easy. And frames can be wiped down with a damp cloth. Microfiber cloths are good for cleaning window frames and security doors. It is usually easier to clean a fly screen frame if you can first remove it from the window. Some fly screens are designed to easily detach. A few other screens can be removed with the use of a screwdriver or spanner. Occasionally some fly screen frames are permanently attached to the window, or are at least very difficult to remove. Be careful removing the screen. Older style mesh is easily damaged. Spray the screens with a hose, but do not use too much water pressure. Make sure to spray both sides. Make a mixture of one part ammonia to three parts water. Or, make some warm water with soap / detergent. Wear rubber gloves to protect your hands. Some people like to wear goggles to protect their eyes. Use soft bristle brush and ammonia solution to wash the screen. Leave the screen flat on the tarpaulin sheet, and scrub with a circular motion. After loosening any dirt and debris with the scrubbing you can wipe the surface with a sponge. Rinse the screen with a hose, and then shake off the loose water. Allow the screen to air dry. Prop it up so that the air can circulate around the mesh. Once dry, put the screen back on the window. Retractable mesh screens require less cleaning as they can be stored away when not in use. Fly screen mesh was once fairly thin and fragile. It kept insects out while allowing light and air inside. But mesh and the functions it performs has developed over time. High end screen mesh is now used to keep human intruders out, providing security. It also works as a safety feature, preventing infants or pensioners from falling out windows. This is less of a mesh than it is a perforated sheet of solid metal. The ‘mesh’ effect is achieved by creating holes in an aluminium sheet. These holes are large enough to permit airflow, and moderate light, but small enough to keep out flying insects. This works well in combination with a lighter screen. The diamond grill provides strength to keep the house secure. The lighter mesh keeps insects out. This diamond grill should be solid rather than criss-crossed bars of metal. This is a common and inexpensive type of mesh screen. You will see this on many older windows and doors. It is fine for keeping insects out, as well as pets indoors. But it can be easily broken with brute force. This screen will combine will with Diamond grill or decorative pattern grill. A modern solution. This is rust proof under most circumstances, though it can be damaged in salty beach atmospheres. Modern stainless steel can be powered coated to give it a wide variety of colours. Steel doors tend to be quite heavy. An older alternative for metal door and mesh, but one that lasts quite well. Aluminium will not rust, unless exposed to salty or corrosive conditions. It tends to be the same matt silver colour, but it can be coloured through anodization. Aluminium doors are quite light. But they are not always strong. 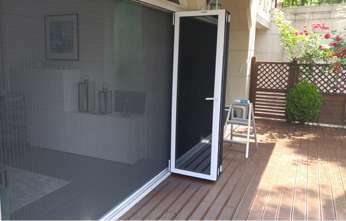 One good combination uses aluminium mesh and a stainless steel door. But it is not possible to weld these different metal together. We can add many things to windows for style and functionality. And we can also add windows to many situations for the same purpose. Window tints – These remove the ultra violet light that causes sunburn and damage to household goods. They can also provide some insulation against heat. Exterior shutters – for keeping out the weather, from harsh midday sun to heavy rain or snow. Excellent for blocking the wind. Some shutters have horizontal slats for letting some natural light in. Internal blinds – for letting light in when it is needed, and providing privacy when you desire it. There are many options for electronic to cord adjusted. Windows above doors. These let light in while not compromising privacy. Windows above glass doors can give an arched look to an entrance. Fretwork panels allow some light into the house, and have an elegant decorative look. Curtains are and simple and classic addition to window. You can have privacy with heavy curtains, on privacy and soft light with light curtains. Flyscreens – for keeping insects outside, and providing solid security. These can be used during the summer months, and retracted for the rest of the year when they are no longer needed. Strong metal mesh provided solid security for windows. Intruders cannot break in, and children or aged senior citizens cannot fall though fly screen mesh windows. There are several spaces in the average household where two different surfaces joint together. These spaces may contain a gap that is open to leaking water or moisture. And area where two floors join together. Where the kitchen tile floor joins to another floor. Where the bathroom tile floor joins the next room. Underneath any doorway, especially doors leading outside. Around window frames with or without fly screen frames. Water that leaks through a gap in the house can cause long term problems. Water in the structure of the house can cause serious rot and decay, which may damage frames, support structures or other vital parts of the homes. Else, the moisture can lead to mould problems, with some forms of mould being very bad for health. The easy and effect way to seal gaps is with silicone. This can be applied with a caulking gun. Silicone is available in white, black, brown or several other colours; choose a colour that is inconspicuous, blending in with the surroundings. The caulking guns are fairly cheap at hardware stores. Some areas are best filled with hard materials like wood filler, putty, builders bog, or Pollyfiller plaster. Again, find a colour that is inconspicuous. If you need to cover the sealed area there are a few options. A gap between floors can be covered with an edge strip; this also works for many doors. Other areas can sometimes be covered with skirting boards. Also seal the area first; the edge strip or skirting board will not protect against water. The glass in windows will not offer much protection against UV Light. Our eyes see all the colours of the rainbow. Beyond this visible spectrum of colours is Ultraviolet Light (UV). This is the invisible radiation that causes sunburn in human skin, and the fading of fabrics, paint and other materials exposed to the sun. It is best to reduce our exposure to UV light as much as possible. Regular glass windows will remove some UV light. People standing behind a window will receive about half the UV radiation of a person standing outside. But this is only a moderate improvement. We should aim for better results. UV radiation that comes through windows will steadily cause fading on indoor fabrics, carpet, furniture, upholstery and paint. This fading damage is permanent and irreversible. In some cases the fabric can be re-dyed, but their fabric material has still suffered some underlying damage. There are two general methods to protect your household contents from UV radiation. One is to block the light out entirely. The other is to let the visible light through while filtering out (most of) the UV. This filtering allows us to make use of the natural light, saving on electricity bills. Windows can be fitted with UV filter screens. These can remove 95% of the UV. These screens also reduce the heat of sunlight so that the inside of the house will not heat up as much in the Sun. The UV filtering protects carpet and other indoor furnishings. The heat reducing helps keep the house cool, saving on air conditioner costs. Most curtains will not block UV light. The few curtains that do block UV light will make this feature a sales point. 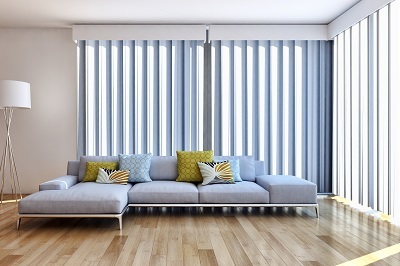 Furthermore, many curtain fabrics will fade in UV light. Unless the curtains have UV protection we should fit windows with UV film to prevent damage to curtains and other indoor furnishings. Ability to block out the breeze/wind. Flyscreens are almost perfectly effective for removing insects. The flyscreens you have fitted will keep your home inset free for decades. But homes windows will still need protection against UV damage and the general weather. Consider shutters for the weather, and UV film for the glass window. Fly screen mesh is essential if we want to provide good venation and light while keeping insects out. Both fly Screen doors and windows are available for homes. And if you use a fly screen frame security door you will keep out criminals as well as insects. Traditional flyscreen windows and doors were made with an aluminium frame. Later developments had these door and window frames powder coated. 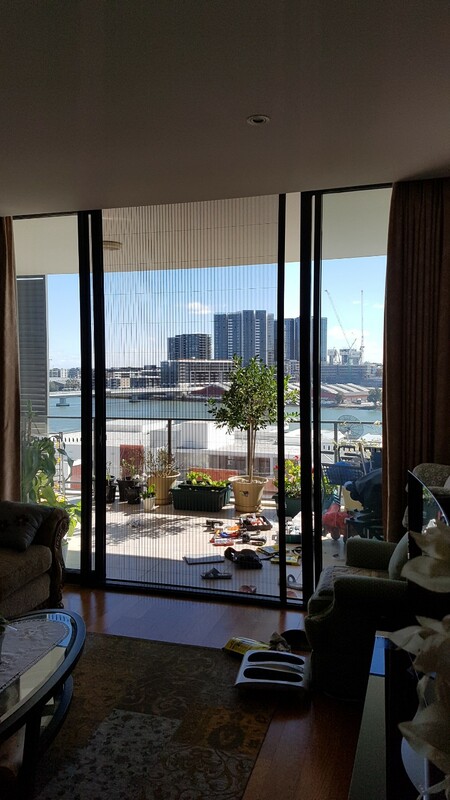 The fly screen mesh on the metal frame can be aluminium, steel or fibreglass. Security doors used all steel construction with a triple locking mechanism. All these doors were stylishly designed, and there were always options to suit any home décor. There are many different types of flyscreen, including sliding, hinged, and cassette retraction. Some of these are almost unnoticeable when retracted. These almost hidden flyscreens are great if you have decorative doors that you want to keep on display. Another option is rollaway blinds which are a good option if you had bi fold doors, or if you want to keep French doors on display. Professional installation of fly screen frames and doors is customized to your home. Often it only takes a few hours before your fly screen mesh system is fully operational. But sometimes the manufacturers will be prepare some components of the door or screen offsite before the day of installation. It is also possible to re-mesh older security doors and window frames. Plantations shutters are extremely versatile, keeping homes cooler in summer and warmer in winter. This versatility stems comes from their dual action design. They works as both opening doors and adjustable flat slatted panels. As the name implies plantation shutters originally developed on Southern USA plantations. They were originally fitted to the outside of large plantation homes, both over large windows and doorways. Opening the slats on the shutters allowed the air to circulate during the hot southern weather. Opening the shutter doors allowed the light in. Though they were originally fitted to the outside of windows many modern plantation shutters are now used inside. Once again they allow air to circulate while keeping out the bright light, a good combination to have during summer. When locked shut they are also very secure. 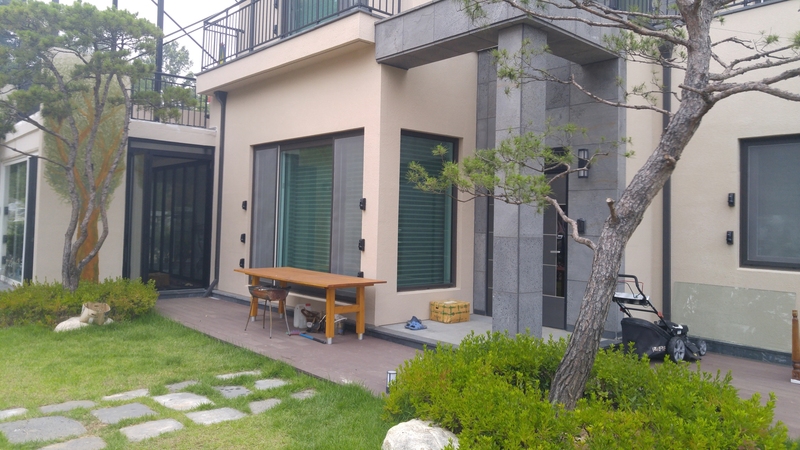 Modern material allow shutters to be waterproof. Older plantation shutters were made of wood, which would eventually rot or grow damaged in the sun. But newer materials, like Thermopoly, are not damaged by water and are capable of withstanding fairly harsh weather conditions for decades. Plantations shutters are the type of fittings that you would want to have custom made to suit your home. But you can browse the design options online and find the style you like most. Then have this very design applied to your home. Australia does have something of a good reputation for outdoor living, with fine beaches and beer around the Barbeque. But sometimes we have to accept or compensate for a few inconveniences. In this country the inconveniences include a few issue with insects. Though really, this can be dealt with by some straightforward preparation. We can keep our home free from insects with some fly screen mesh on windows and quality fly screen doors on the front and back of the house. As well as keeping out the insects these screens have other advantages. Keep out diseases carried by a few insects. 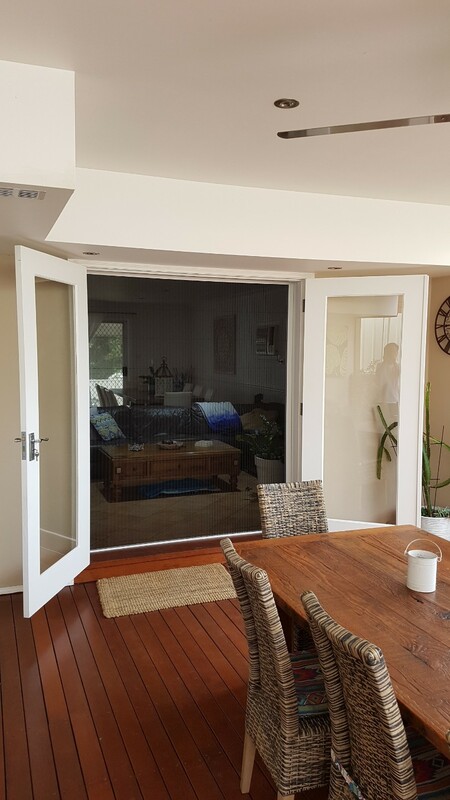 Modern screen doors suit any décor, complementing the look of your home. Keep children or elderly relatives inside. Fly Screen Mesh can be retracted or removed when not in use. 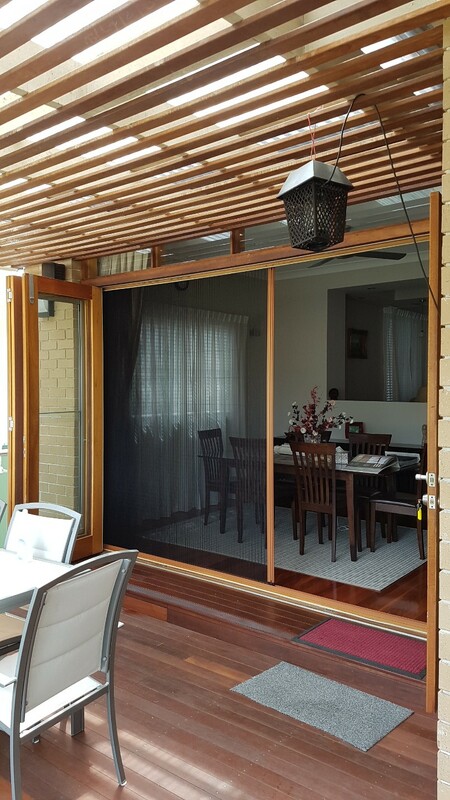 Retractable flyscreens come in many styles. Pleated screens retract and are neatly stored above the window in their own cassette. 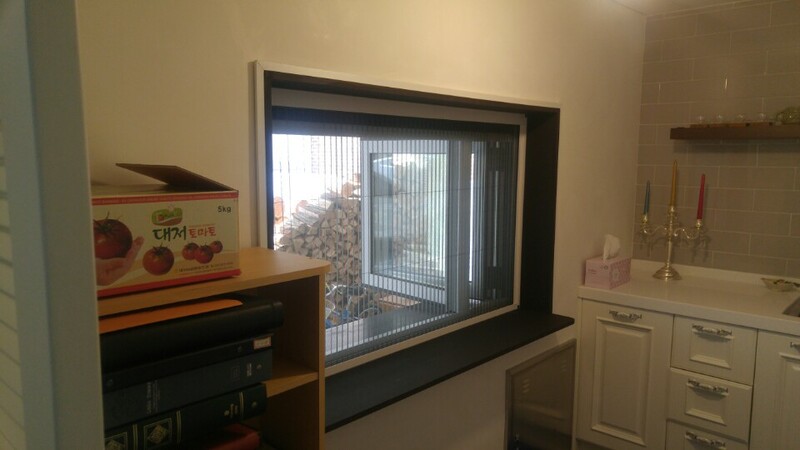 Magnetic screens can be removed entirely from the window, rolled up and stored in a cupboard. Some home owners simply hide the fly screen mesh behind window blinds during the colder winter months. Security doors are a great investment, lasting for decades. They protect the home from intruders or all types. Please call us before you visit our factory as we might be outside. Our mission is to provide the best renovation service at a reasonable price without sacrificing quality. You will be satisfied with our work.